Maui Hands Lahaina gallery, 612 Front Street, welcomes plein air painter Diane Snoey Appler from 11 a.m. to 3 p.m. Fridays in June. 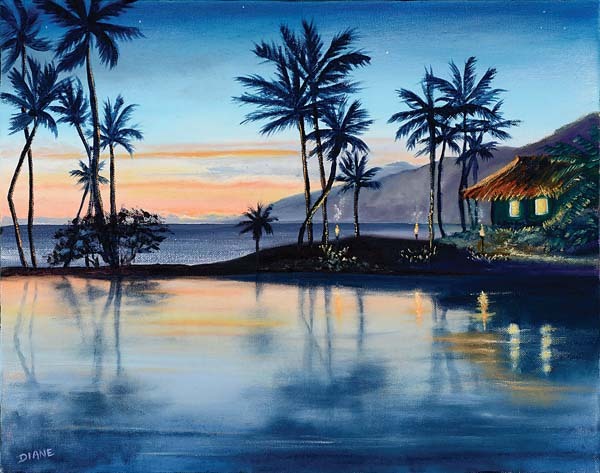 Watercolor artist Luana Kama will be in the Lahaina gallery from 4:30 to 7:30 p.m. every Wednesday. 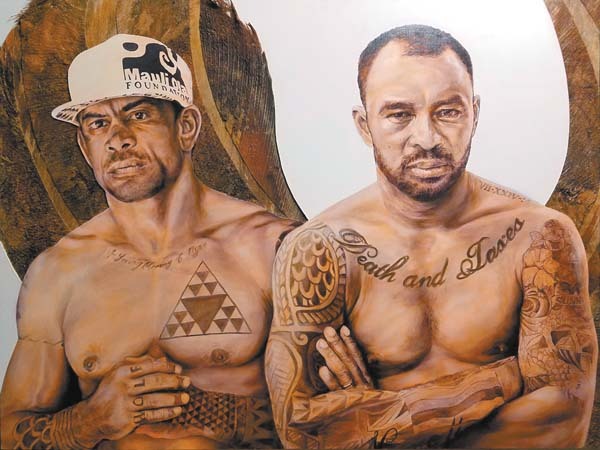 Maui Hands Makawao gallery, 1169 Makawao Ave., features mixed-media artists Amanda Scott from 2 to 5 p.m. every Friday except during Third Friday Town Party when she will be in gallery from 4 to 8 p.m.
Also at the Makawao gallery during the town party from 4 to 8 p.m. will be printmaker Andrea Pro, from Kahalu’u Kona on Hawaii Island. 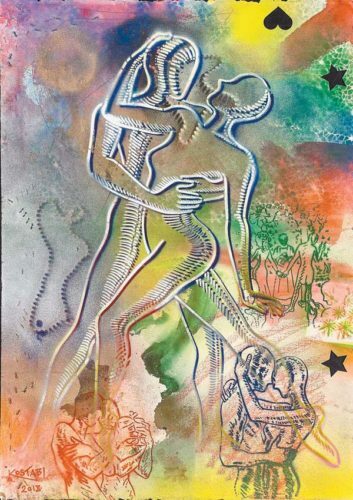 Mixed-media artist Christine Halton will make the rounds at three gallery locations each Thursday in June. 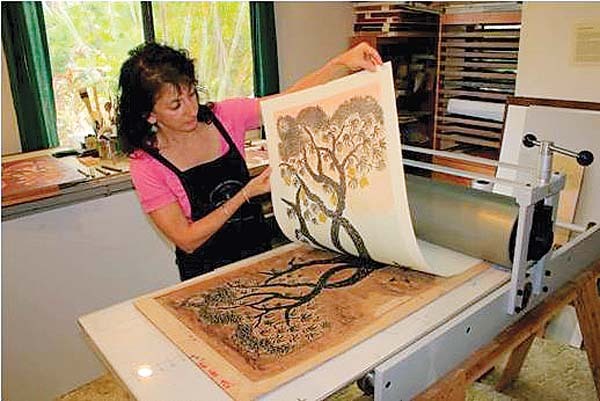 See printmaker Andrea Pro in gallery at Maui Hands Makawao gallery in June. The Paia location, 84 Hana Hwy., hosts Halton from 11 a.m. to 2 p.m. June 7 and 21. 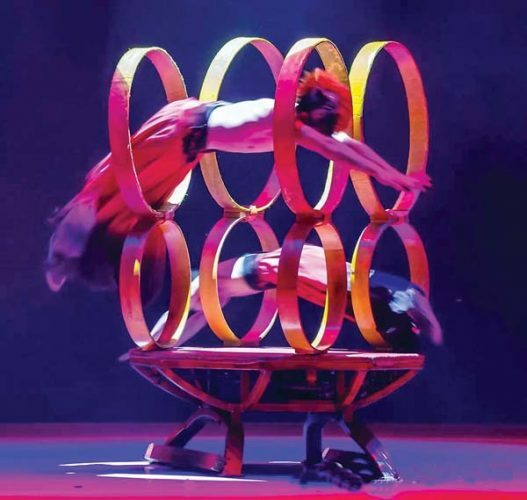 She visits the Lahaina gallery from 11 a.m. to 2 p.m. June 14 and 28, then travels to the Kaanapali gallery at the Hyatt Regency Resort & Spa from 3 to 7 p.m. June 14 and 28. 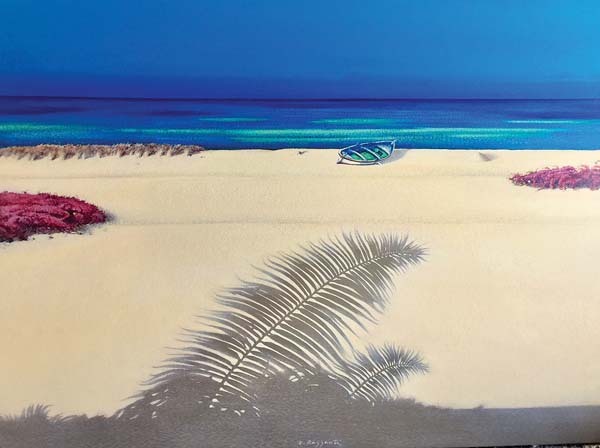 For more information about the Lahaina gallery, call 667-9898; the Makawao gallery, call 572-2008; the Paia gallery, call 579-9245; and the Kaanapali gallery, call 667-7997 or visit www.mauihands.com.